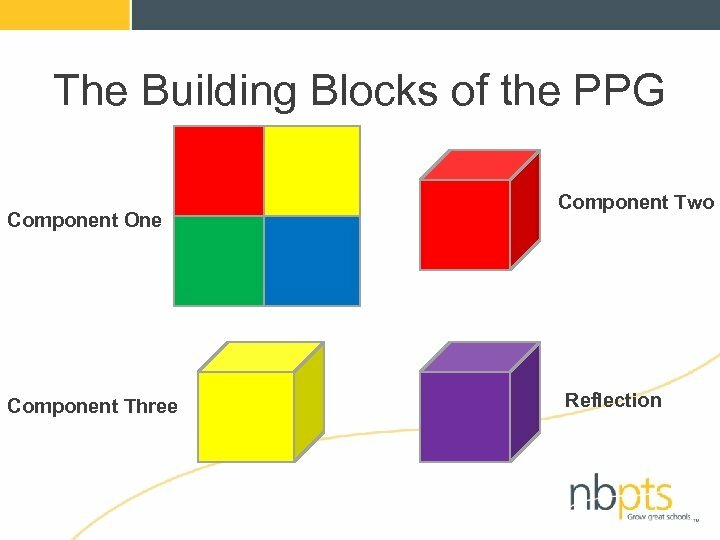 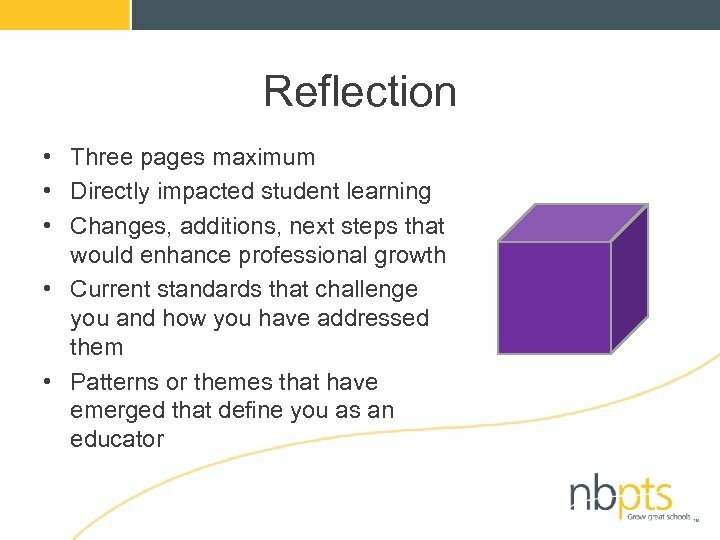 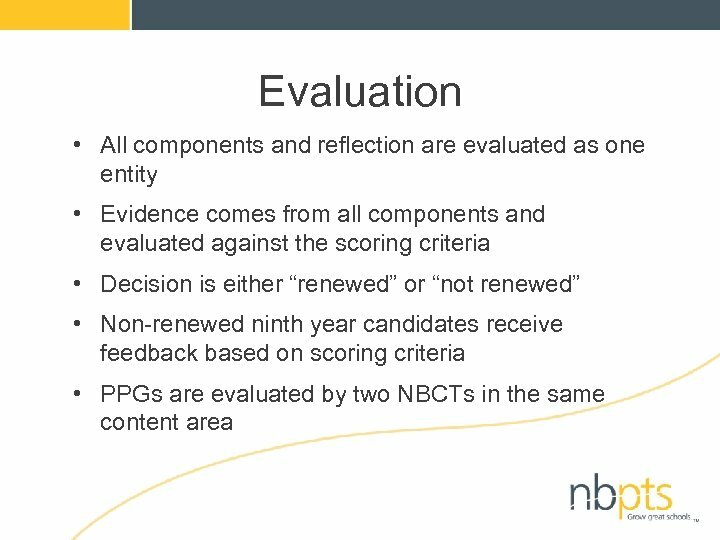 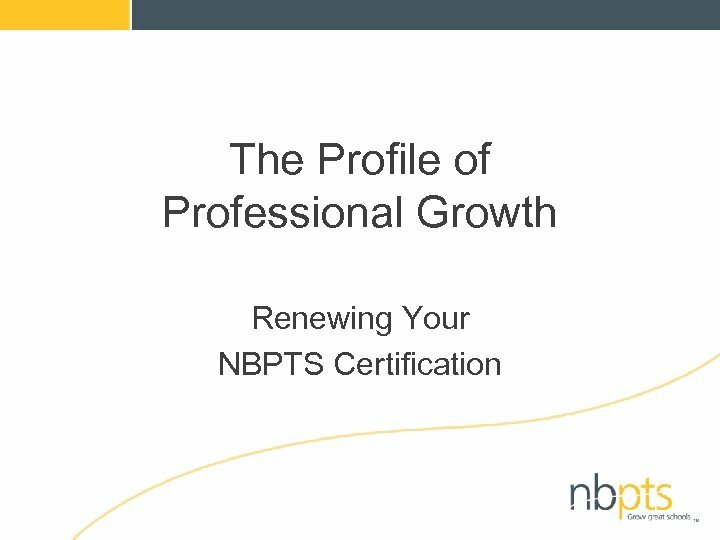 Reflect: • What made you choose NBPTS Certification the first time? 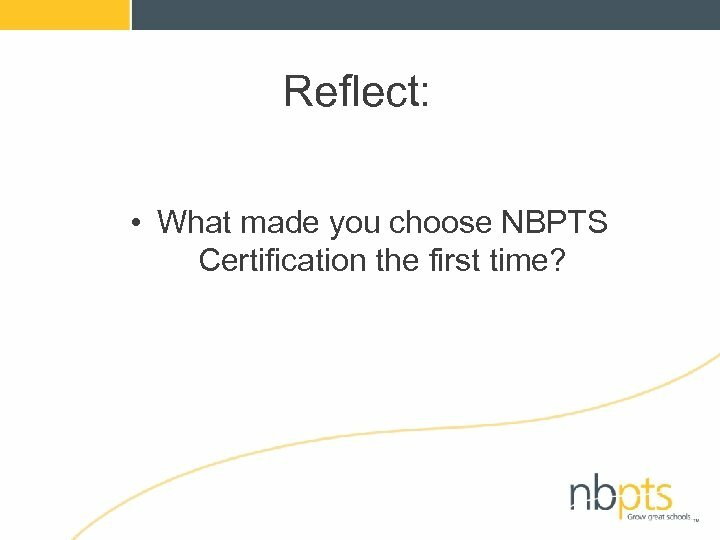 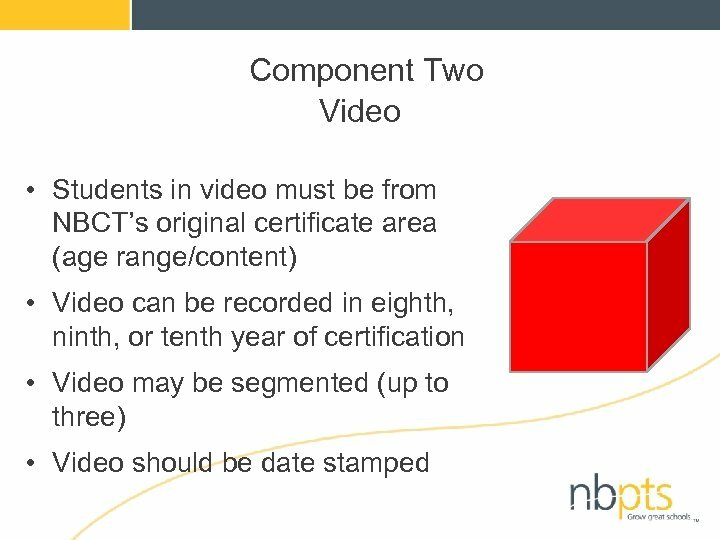 Show of Hands… • What year did you achieve NBPTS Certification? 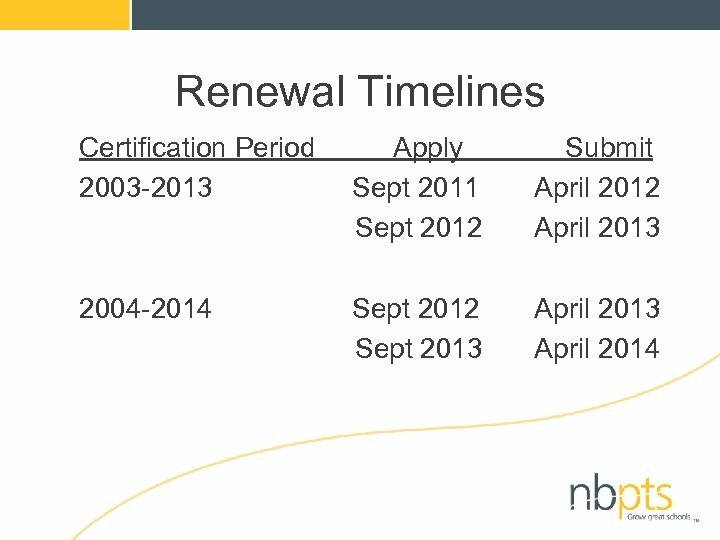 2002, 2003, 2004… • Have you changed grade/content/schools/jobs since first achieving certification? 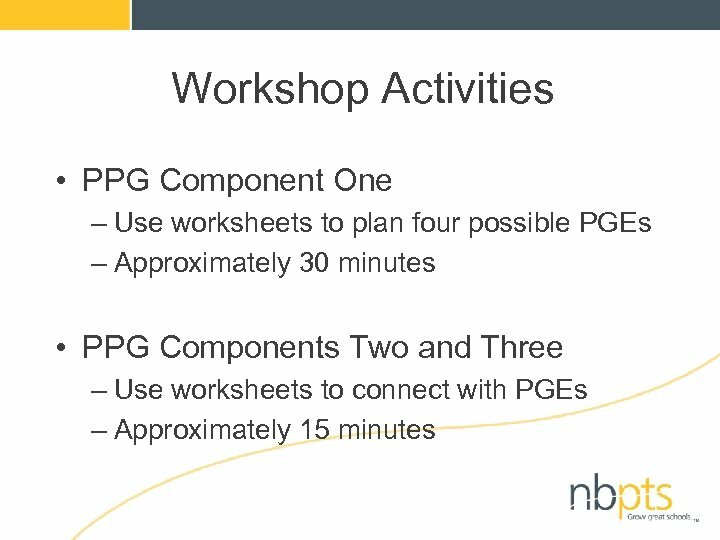 …and why did you choose to attend this workshop? 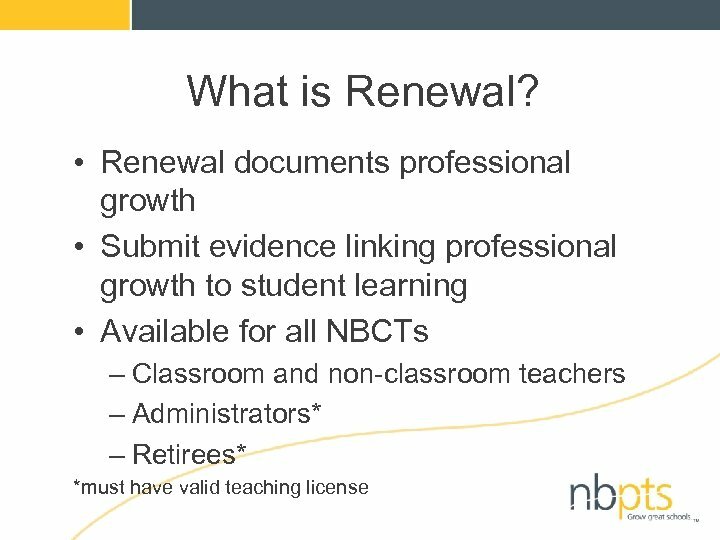 What is Renewal? 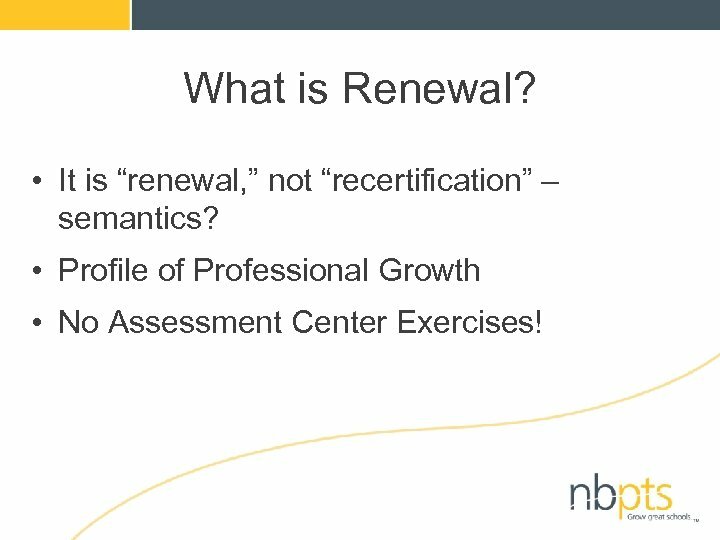 • It is “renewal, ” not “recertification” – semantics? 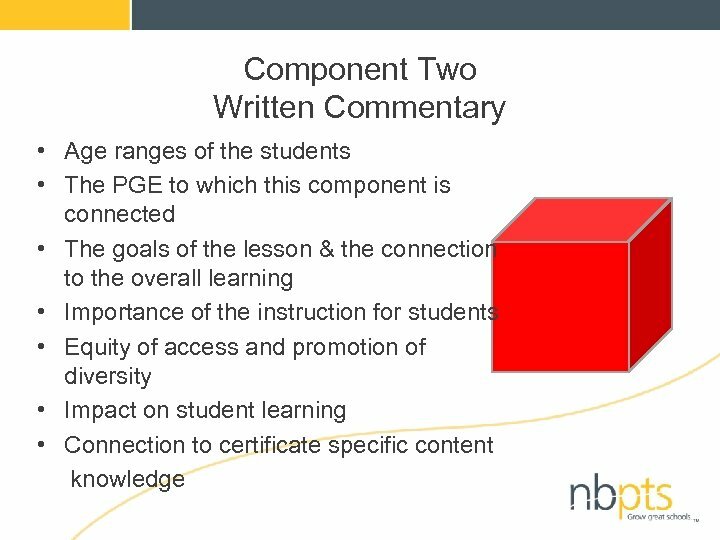 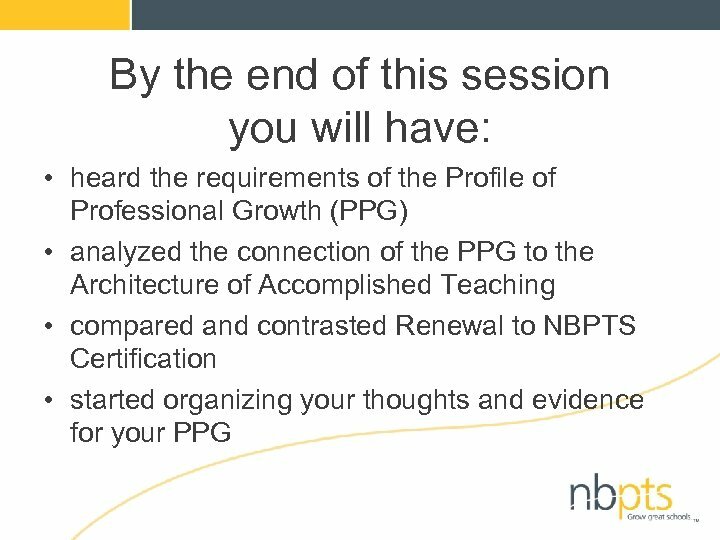 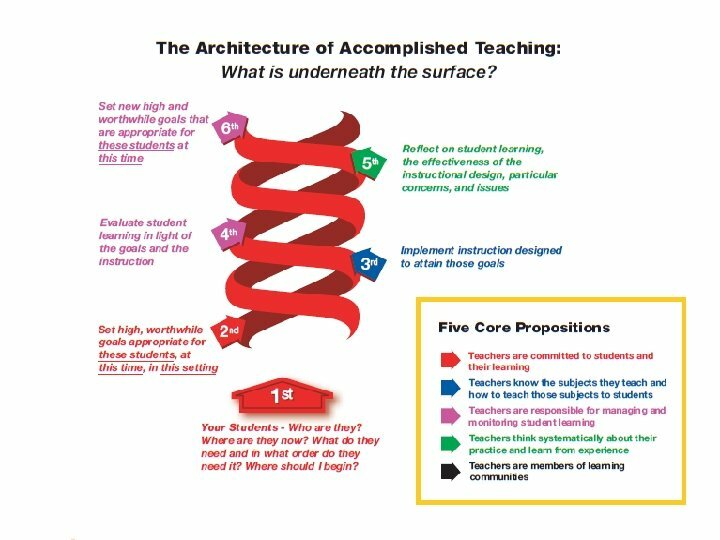 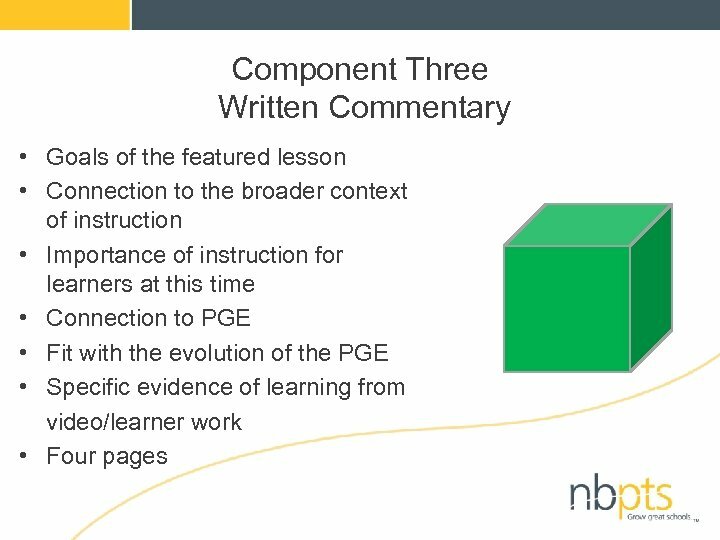 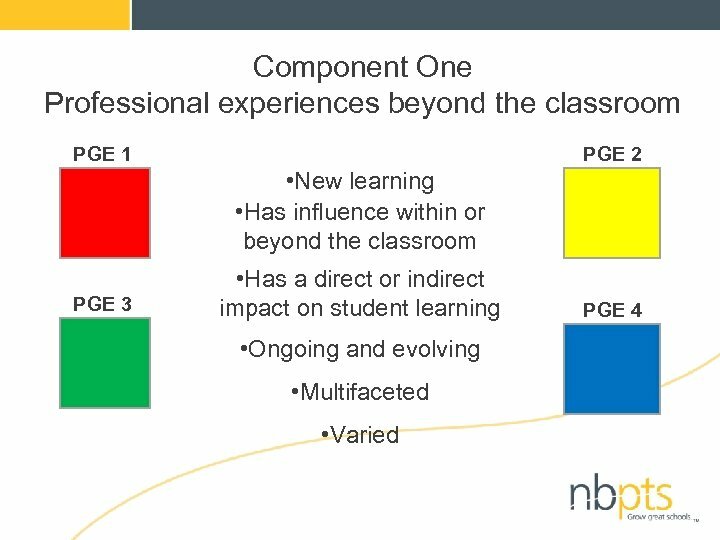 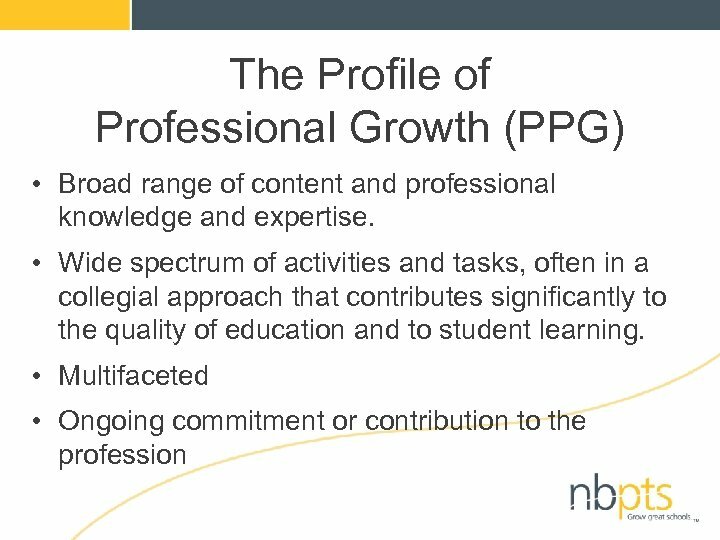 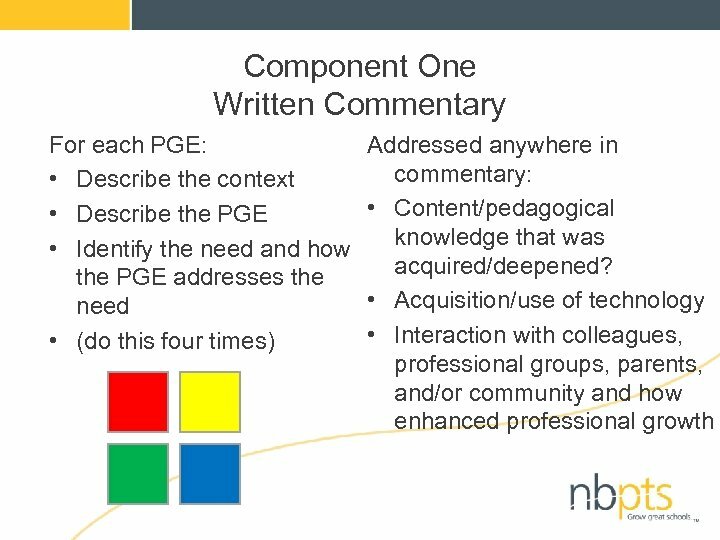 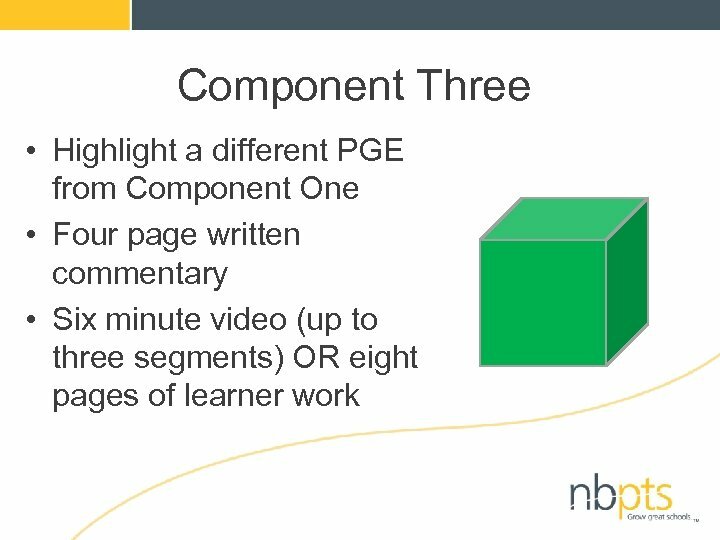 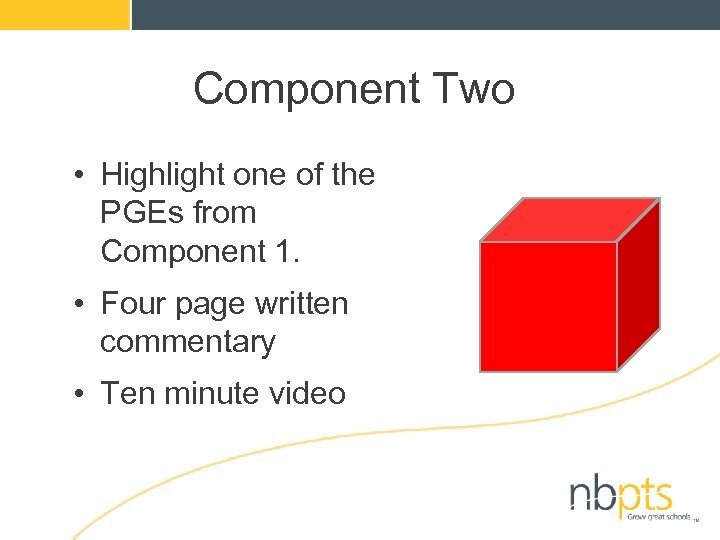 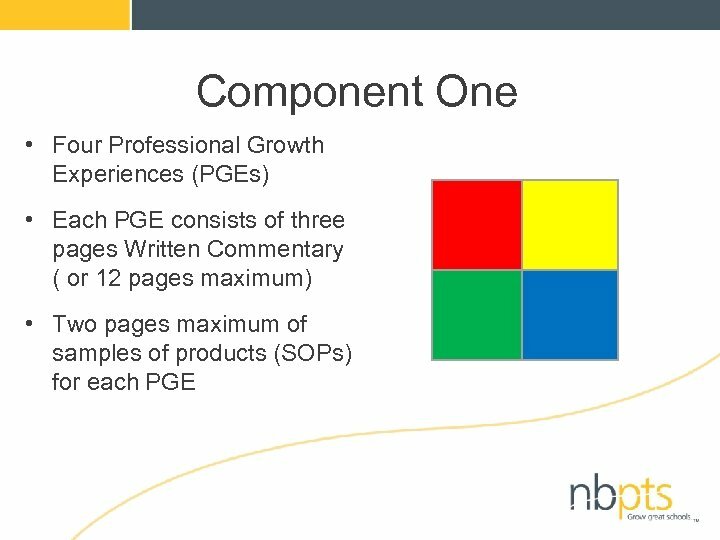 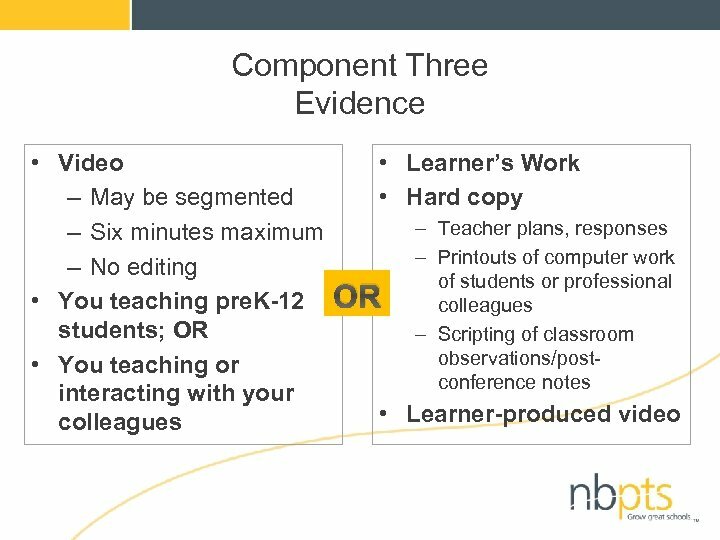 • Profile of Professional Growth • No Assessment Center Exercises! 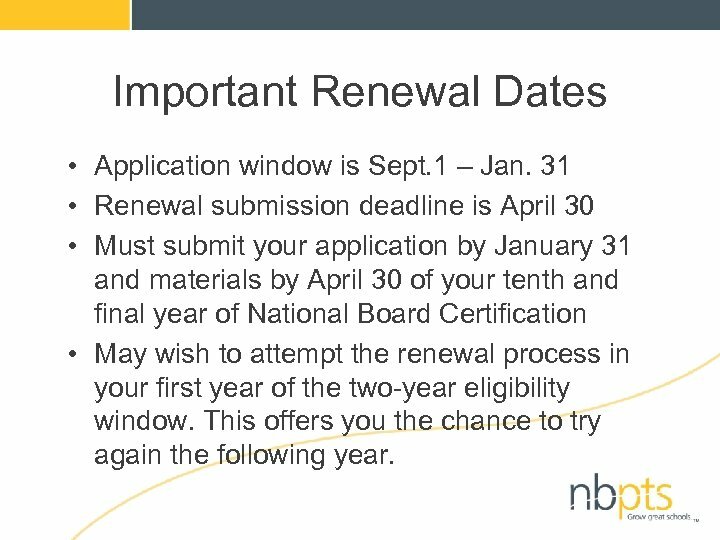 Important Renewal Dates • Application window is Sept. 1 – Jan. 31 • Renewal submission deadline is April 30 • Must submit your application by January 31 and materials by April 30 of your tenth and final year of National Board Certification • May wish to attempt the renewal process in your first year of the two-year eligibility window. 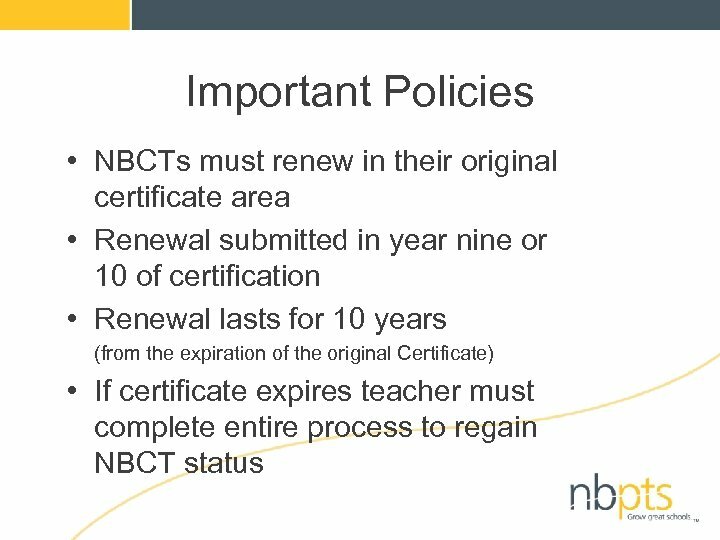 This offers you the chance to try again the following year.